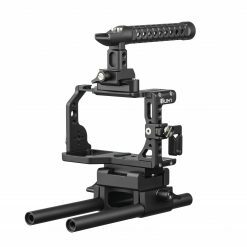 HOUSTON, Texas (February 23, 2018) – Ikan announces the release of the innovative PIVOT 3-Axis Handheld Gimbal Stabilizer. Using complete 360 movement on all 3 axes, the company’s latest gimbal secures smooth, quality cinematic footage. The PIVOT enters the gimbal market sporting an 8 lbs (3.6 kg) maximum payload, angled arm, advanced image stabilization and more. With the increased maximum payload of 8 lbs (3.6 kg), the PIVOT supports a wide range of DSLRs, mirrorless cameras, camcorders and even small cinema cameras. The angled arm elevates the camera above the roll motor for an unobstructed view of the camera’s screen. Using an adaptive algorithm, Ikan has improved the response speed and torque, allowing for better image stabilization. The pressure sensitive joystick allows precise manual control over the gimbal movements. An OLED status display screen conveniently indicates battery life, operation mode, and joystick direction. The PIVOT’s compatibility with Manfrotto 501PL series mounting plates makes switching from a gimbal to a compatible tripod easy. The gimbal’s battery holder is compatible with Qualcomm Quick Charge 3.0. 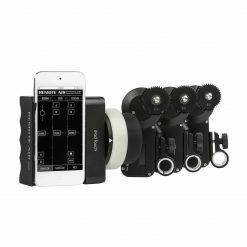 As a companion to the PIVOT, Ikan will also release an IOS / Android app in March, transforming your smartphone into a wireless pan-tilt controller for your gimbal. The app also supports advanced calibration to optimize performance. The compact design features and lightweight carbon fiber handle make the PIVOT ideal for a variety of uses. The latest Ikan gimbal is a product for the amateur and professional videographer alike. 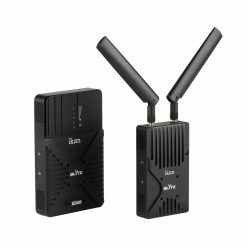 For event and music videography, travel vlogging, and more, the PIVOT is unmatched in design and affordability. Ikan will showcase the new PIVOT gimbal at WPPI in Las Vegas, NV from February 26-28, 2018. Visit booth 1209 to test our latest technology. For more information on the PIVOT, visit ikancorp.com. At Ikan, we’re filmmakers, too. Our staff is almost entirely composed of seasoned professionals whose first love is the world of film and video. As filmmakers, we understand the challenges our customers face on a daily basis. We know first-hand the need for reliable and dependable equipment. We sympathize with the moment a piece of gear going down during an important shoot, threatening your reputation. We also understand that while imagination may be limitless, budgets are not always. 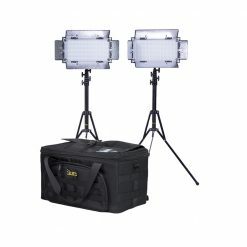 Whether an expensive Hollywood motion picture or an intimate wedding shoot, maximizing the value of the products purchased is of utmost importance. Because we understand these things, we feel a responsibility to continue to bring our customers the best available technology, quality, service, and long-term value across our entire product line. 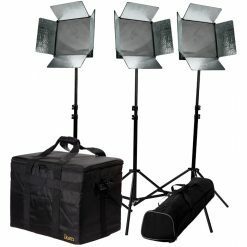 Whether it’s our lights, gimbals, tripods, monitors, or the hundreds of other production tools we’ve brought to the market, all of Ikan’s products are created by filmmakers, to empower filmmakers. Ikan products are sold through authorized dealers located in more than 50 countries around the world and at www.ikancorp.com.